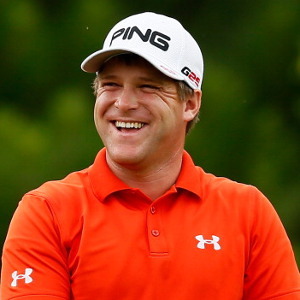 Daniel Summerhays is a professional golfer on the PGA Tour. He was born on December 2, 1983, and raised in Farmington, Utah. He was a two-time Utah State Amateur Championship (2000 and 2001) while still in high school. Summerhays played golf for Brigham Young University where he was a first-team All-American. He turned professional in 2007; the week before he turned pro, he was the first amateur to win on a nationwide tour at the Nationwide Children’s Hospital Invitational. He earned his bachelor’s degree in business finance in 2008 from BYU. As of May 2015, his official world golf ranking is 110th. In 2012, he tied for fifth at the Mayakoba Golf Classic, tied for seventh at the Puerto Rico Open, and tied for fourth at the Memorial Tournament in June. During his PGA tour career (as of early 2015), he has finished in second place twice, finished in the top ten twelve times, and finished 26 times in the top 25. He is a member of The Church of Jesus Christ of Latter-day Saints and served as a missionary to Santiago Chile from 2003 to 2005. He and his wife, Emily, are the parents of three sons and one daughter. His family of professional golfers includes brother Boyd, who played on the Canadian Tour, his uncle Bruce Summerhays, Champions Tour player, and cousins Carrie Summerhays Roberts and Bruce P. Summerhays Jr. This page was last edited on 5 May 2015, at 14:34.